Last week, Oculus announced that the first Consumer Version or CV1, edition of the highly anticipated Oculus Rift virtual reality headset would cost $600. That’s a lot of money. This price point is more expensive than most pieces of technology an average consumer owns and is probably more than most people can afford to spend at a given time on a single piece of technology. But to contend that the Oculus Rift is expensive by standard consumer standards means that it is objectively overpriced, or too expensive, and that is incorrect. I could just point to Oculus founder and CEO Palmer Luckey’s response and call a it day, but instead I’m going to take this opportunity to offer some more explanation as well. It’s not a matter of opinion, you’re just wrong. Point blank: the technology industry and the gaming industry are not the same thing. They have a lot of overlap, but to equate them as identical would be an immensely misguided and misinformed comparison. Generally speaking, the game industry is designed exclusively for end consumers. Everyday people that enjoy playing video games are the intended audience for all aspects of the gaming industry. When a new game or a new peripheral or a new console launches, they’re pricing and marketing that specifically for people like you and your friends and your family. The reality of the technology industry is that it just doesn’t operate on those same principles. When a new piece of cutting-edge technology comes out, even if it’s being referred to as the “Consumer Version,” it’s not designed for the masses…yet. Within the first year or two, devices are designed and priced with early adopters in mind – the people that have been waiting for months to get their hands on something and will gladly drop hundreds of dollars on the latest and greatest devices. 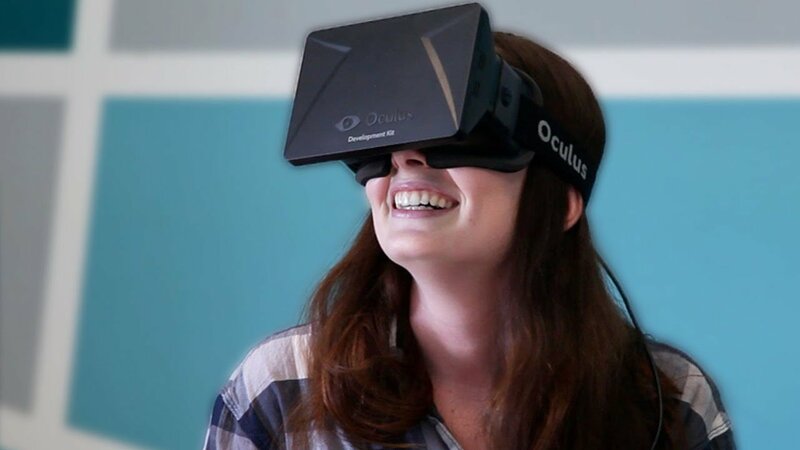 Those are the people the Oculus Rift is targeting at $600. Moreover, the technology industry seems to operate under different standards. I don’t remember this type of uproar every time a new smartphone is announced, or a new model of television, or a new graphics card, or various other items – many of which are established technologies that should theoretically cost less at this point in their lifespans. Blu-ray players debuted at ~$1,000 when they first released. The first flat-screen televisions were well over $10,000. The iMac back in the late 1990s was over $1,000. Even the first Kindle, a device used exclusively for reading electronic books, launched at $400. The Xbox One, a game console that was merely a new iteration of a previous model with many of the same capabilities, launched at $500. And the Oculus Rift, as well as virtual reality as a whole, isn’t relegated specifically to the game industry. Astronauts in space are using virtual reality to alleviate mental health issues, doctors are using it to aid in surgery, the military is using it for training exercises, and yes, people around the world are using it to enjoy thousands of immersive videos and games from the comfort of their own homes. Point being: when new technology releases, it’s often expensive, but eventually goes down in price as production becomes cheaper, parts of the technology become less expensive, and it has a higher adoption rate driving more profit through non-hardware sales. It’s how the world works. While I don’t want to make that sound like the Oculus Rift gets a free pass to set its price wherever they want, it does mean that expectations should be set and adjusted based on how the market responds. 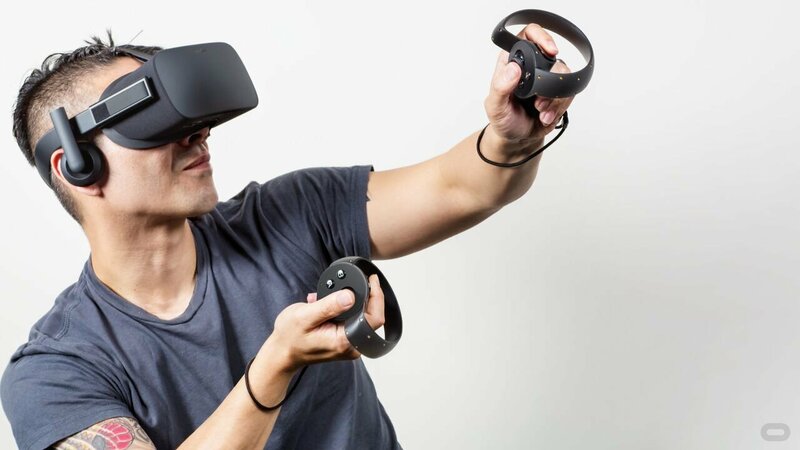 The Oculus Rift site buckled from the stress put on its servers and immediately sold out its first shipment within mere minutes. That was to be expected for the fanatics alone, but the fact that it continued to sell so well – even after the vocal minority of the Internet got out their virtual pitch forks to boycott the price – proves the validity of their business model. The debut of the Oulus Rift doesn’t just mark the debut of the Oculus Rift as a brand and product; it also marks the debut of a brand new form of interactive media and entertainment. 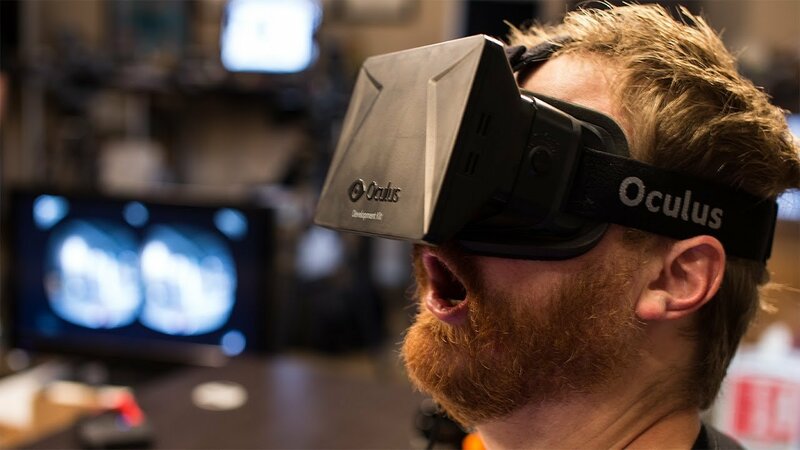 Before now, truly interactive, immersive, and honest-to-God virtual reality didn’t exist. It was a fantasy reserved exclusively for the pages and screens of science fiction. But now, just in the past several months with the Gear VR and soon the Oculus Rift, we’ve jumped forward into the future where virtual reality is attainable. If you haven’t experienced true virtual reality first-hand, it’s unfortunately very difficult for me to describe the experience. The best that I can do is ask you to close your eyes and imagine you’re surrounded by something completely magical – like a beautiful waterfall in a jungle, or a seas of stars before you as you’re standing on the moon. Your peripheral vision is relegated to the scene before you and everywhere you move your head, the scene follows. Full head-tracking, immersive 360° video, 360° audio, and a true sense of presence combine together to revolutionize interactive media as we know it. It’s so much more than just a screen strapped on your face that describing it as such is both misinformed and delusional. 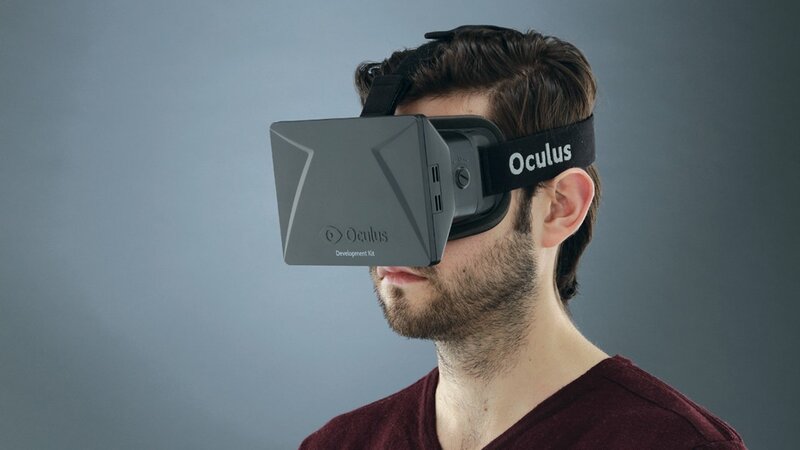 All that being said, you don’t have to buy an Oculus Rift now, or ever. If it’s not interesting to you, then don’t buy it. 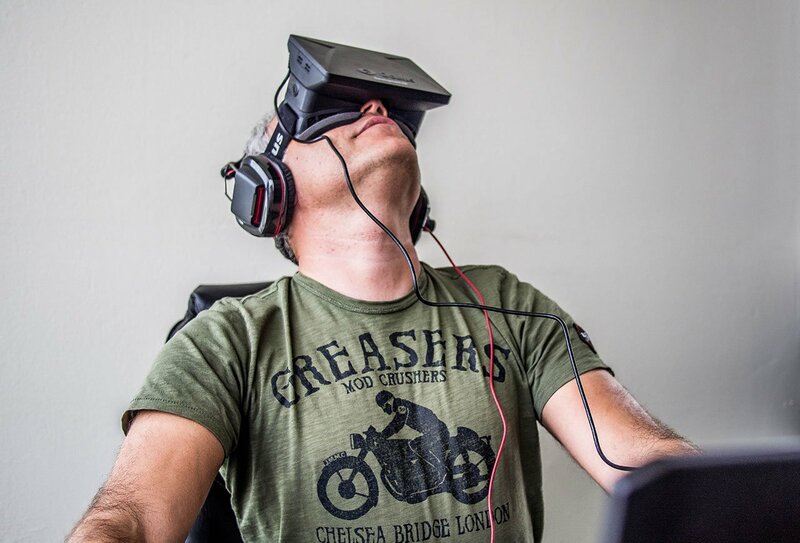 There are plenty of people don’t immediately buy every new piece of technology, and it might take a few years for virtual reality to really take off like it has the potential to. In an incredibly scientific poll that I conducted on Twitter, over half of people polled that preordered a CV1 Oculus Rift had experienced it at some point in the past. Virtual reality isn’t a device or an upgrade you buy on a whim – this is something you have to experience to believe. Get top gaming stories and blog posts emailed to me each week. Newsletters may offer personalized content or advertisements.